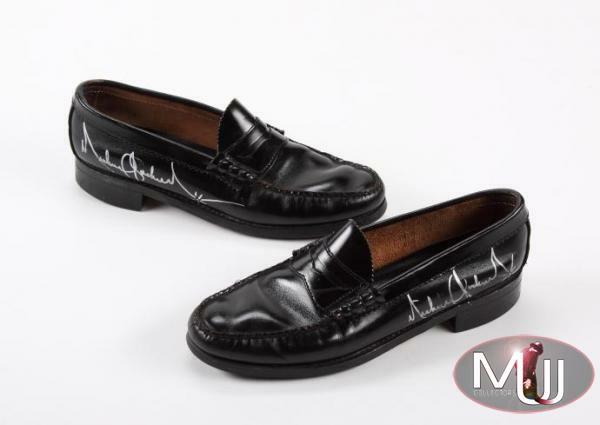 A pair of black leather men's loafers with wear to soles and heels, each signed by Michael in silver marker on the outside edge of shoe. The shoes were gifted to a friend at the end of a performance in which MJ wore and danced in the shoes. Date unknown. 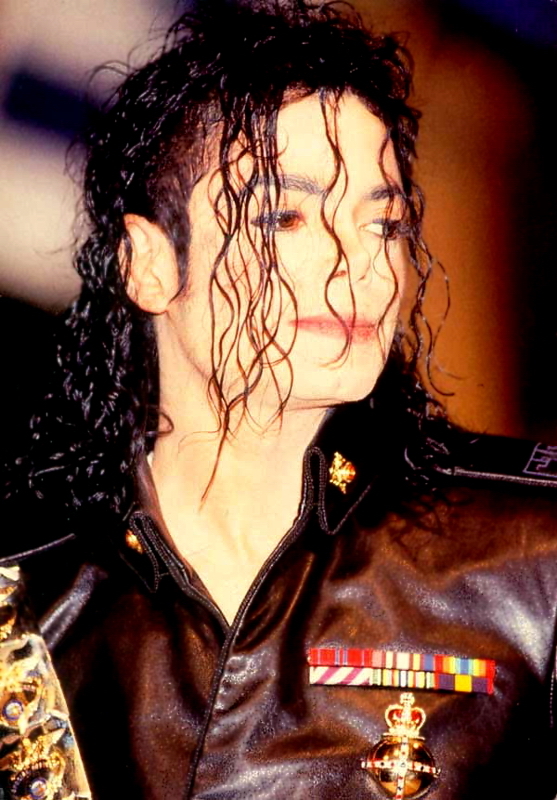 Sold by Julien's Auctions (Lot #496) for $90,000 at their 2010 Music Icons auction. All screen captures are the property of their respective owners.